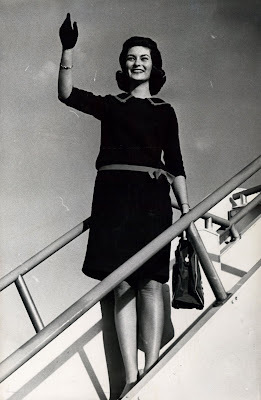 Say hello to Disneyland’s Ambassador for 1965 Julie Reihm as she's off to another exciting destination or returning from one. Check out Julie over at Stuff from the Park (link), she getting ready for another flight there too! In the “Where are they now?” department, here's an interview with Julie from 2008 (link). 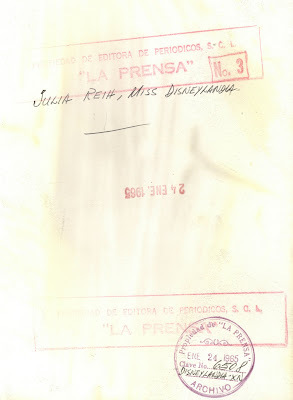 The back of Julie’s press photo reveals she is “Miss Disneylandia”. The photo is dated the January 24, 1965. Well I bet you’ve never seen Julie like this before? 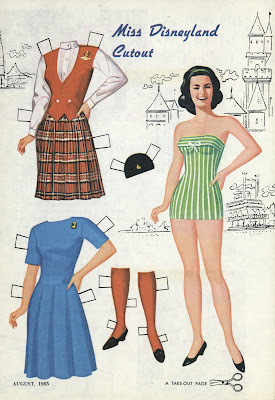 If you like to play with paper dolls (who doesn't?) you can download a high resolution scan here (33mb .tif file). Print it, cut it and have fun. 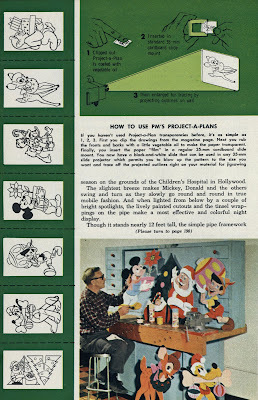 The Paper doll is on the back side of this one page article from an unknown (don’t’ you hate that?) 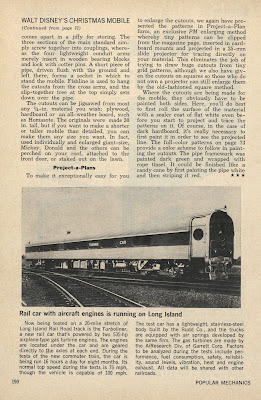 magazine dated August 1965. 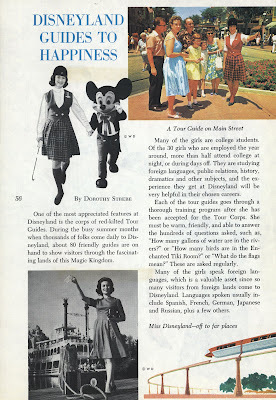 "Miss Disneyland-off to far places". Welcome to Magazine Monday (on Tuesday). 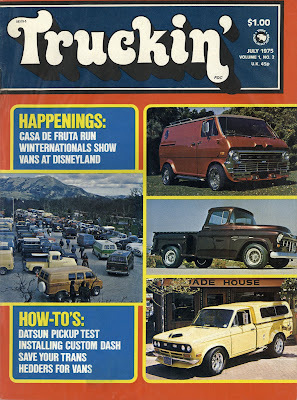 Digging down in the obscure pile, from July 1975 its Truckin Magazine. 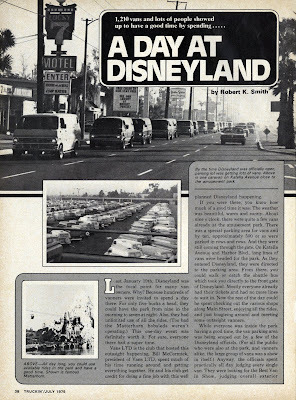 Trucking was all the rage in the mid 1970’s so much that it even crept into Disneyland! 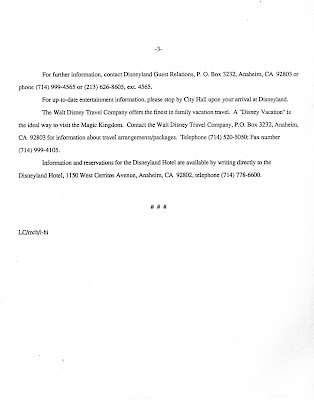 1,210 Vans at Disneyland! Neat parking lot photo. 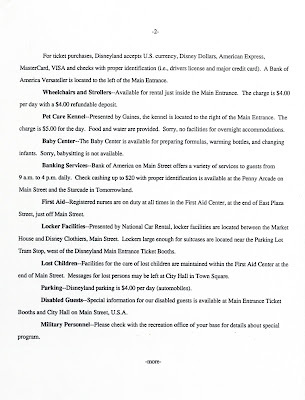 $5 for parking, admission and unlimited attractions was the deal for Truck Day. I wish I had one of those tickets! 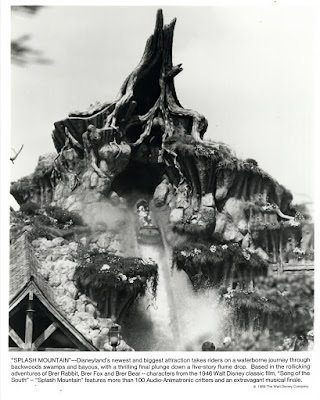 Looks like the Matterhorn was out of service. Fun times at the awards ceremony. Hey, those guys need hair cuts. 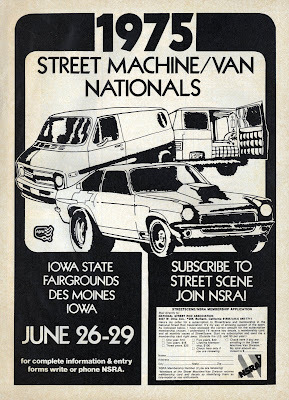 The advertisements are focused on the Trucker audience with Hedman Hedders and an ad for the upcoming 1975 Street Machine/Van Nationals held at the Iowa State fair grounds. 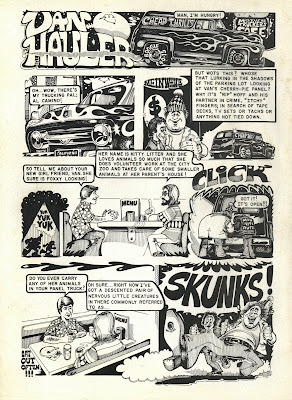 This comic is on the back cover and frankly I just don’t get it, then again, I’ve only owned one truck in my life and it was a Nissan! Check back tomorrow for Magazine Monday. 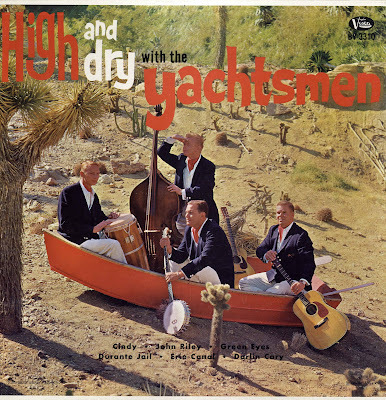 Today is Souvenir Monday and tomorrow will be Magazine Tuesday because I’ve been jamming to the tunes of the Yachtsmen and they are so wonderful I had to share it. 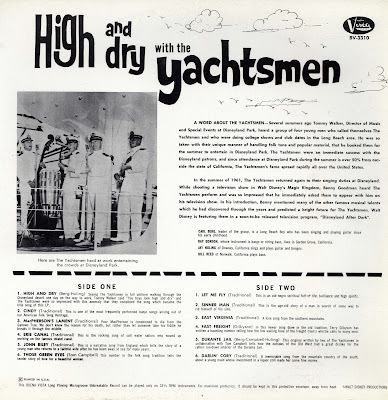 From the early 1960's it's time to get “High and Dry with the Yachtsmen”. Looks like Natures Wonderland at Disneyland! It sure is a fun picture! I like how Ray Gordon (on bass) is looking ahead. 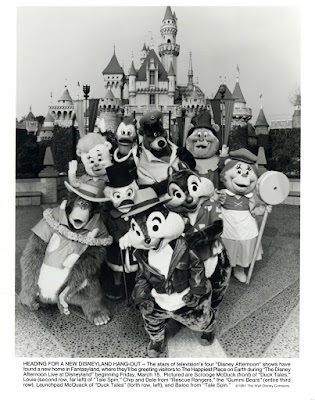 Here's some great photos of the gents in action at Disneyland on Major's super blog (link). Did you know Tommy Walker discovered them? 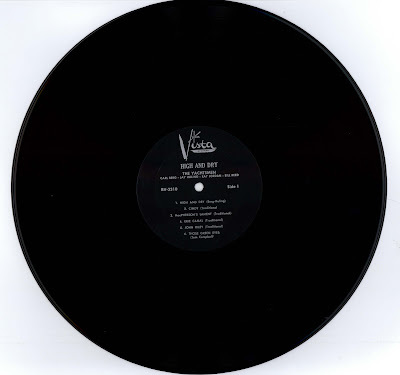 This Buena Vista Long Playing Microgroove Unbreakable Record has held up well for being almost 50 years old. A black label on a black record makes this scan pretty useless but here it is anyway. In case you’ve never heard the Yachtsmen (like me) you probably have no idea what they sound like. Here’s the title track “High and Dry”. It’s cool and growing on me quickly. Track 4 “Erie Canal” is a fun tune that’s supposed to be about sailors working on the Erie Canal but sounds more like a song about getting gin? Maybe I got the wrong track? Oh well, I like it! If anyone has a strong desire to hear another track, let me know which one and I'll toss it in on the next Bonus Sunday. A quick Sunday post as I attempt once again to organize my collection of goodies. Over the summer tickets, guide books, brochures, flyer's, magazine's and STUFF have taken over my den, I’m taking this weekend to try and wrestle it back! Please accept this not so vintage Military One Day Passport from September 27, 1997. 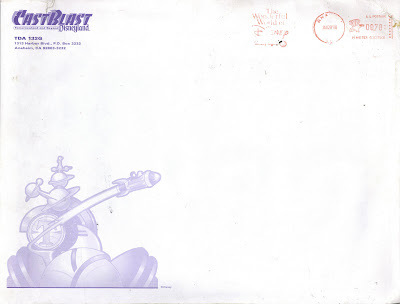 The mid ‘90’s sketch-type artwork is actually pretty cool and understated. See you tomorrow for a new installment of Magazine Monday. Also coming up this week a “sight & sound” souvenir day with the Yachtsmen! 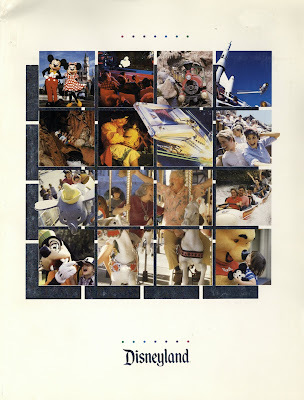 Eleven years later and I’m still in shock from the mess that was/is Tomorrowland '98. 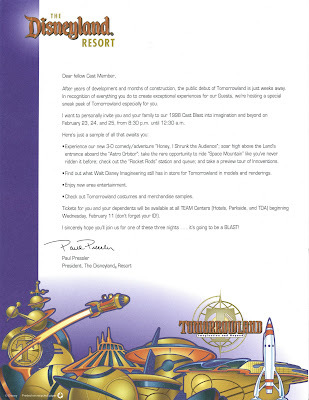 I’d like to say whoever Ok’d this should be fired, but we know who Ok’d it, he signed this letter inviting the cast to preview the new Tomorrowland, complete with that crowd pleaser "Honey I Shrunk the Attendance". The artwork on these items doesn’t really match the final end result. Is it just me or are these renderings even worse than what we actually got? 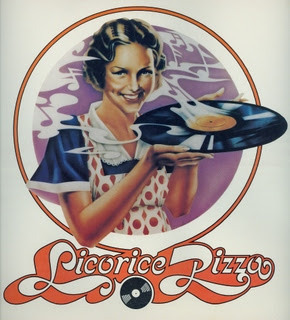 What were they thinking – Jules Verne meets Licorice Pizza? The center of this sheet is one of those 3D shifting things, but even it doesn’t work as it should, figures! 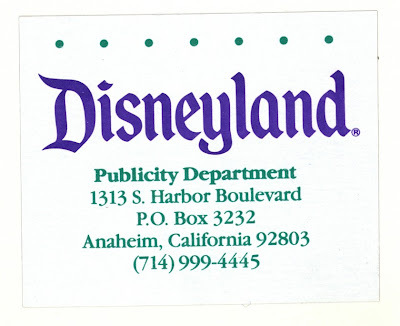 Here’s the envelope this mess came in, it's postmarked January 28, 1998, Anaheim. CA. 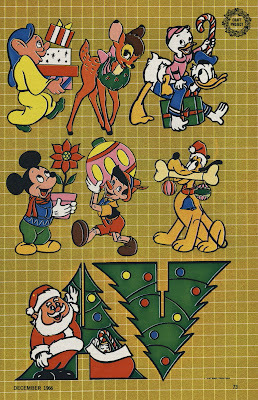 The artwork is a little better without all those hideous colors. 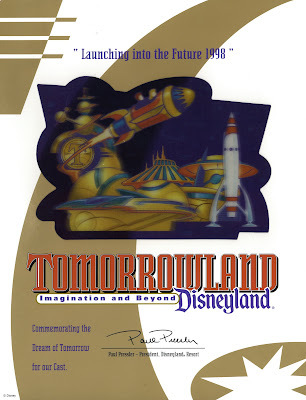 Please excuse the less than upbeat tone of this post, can you tell how much I loved Tomorrowland ’98? Let me try and find something good to say: The paper is high quality and Paul has a nice signature? 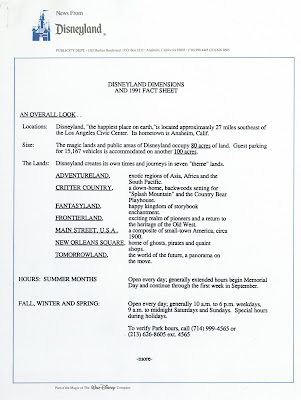 “Important” Here’s a great Disneyland (parking lot?) 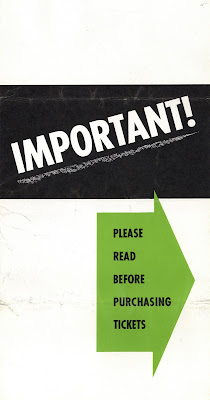 flyer from June 1960. 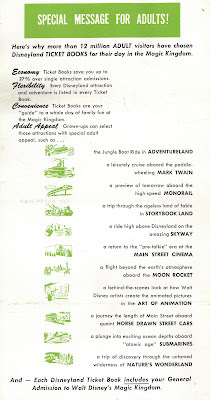 This flyer is filled with the tons of details about the tickets books, the number of each lettered tickets they included and the 43 exciting adventures you can chose to enjoy. Most of these “Important” flyers are small, tri-fold shirt pocket size on basic 20 pound paper. 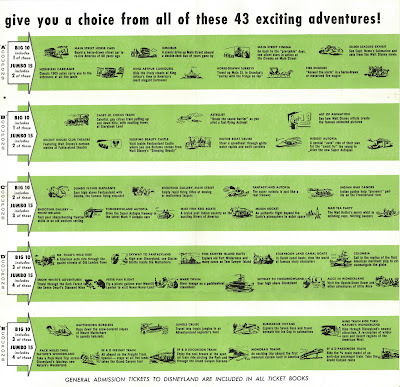 This 1960 flyer is huge, measuring 15 ¾” by 10” when fully open. It’s also on thick coated paper sort of like a birthday card. 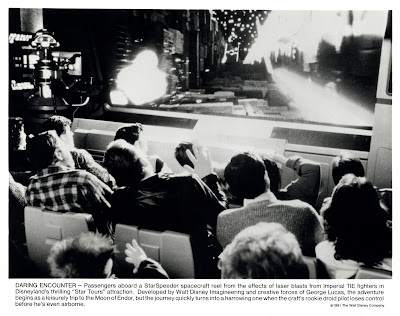 Here’s closeup of the inside sections. 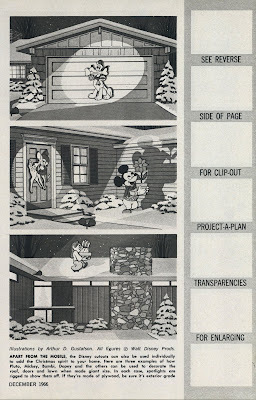 Who doesn’t love those little attraction drawings? The inside back page is a hoot, it’s a “Special Message for Adults”. 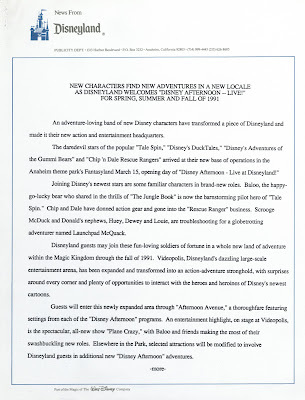 I wonder what qualifies an attraction as having “Adult Appeal”? 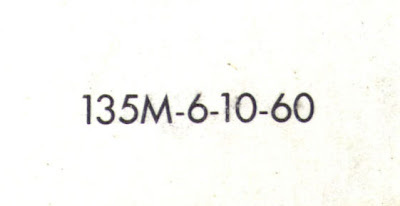 The back panel was blank except for this code. The date is pretty obvious, and I believe the 135M is for 135,000 copies. 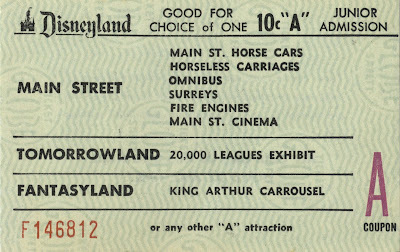 How about a set of tickets to go with the flyer? 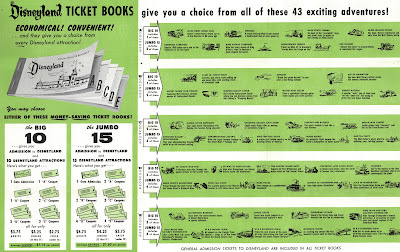 Keen eyes will notice the “B” ticket is from June 1959 and does not completely match the flyer, the rest are June 1960. 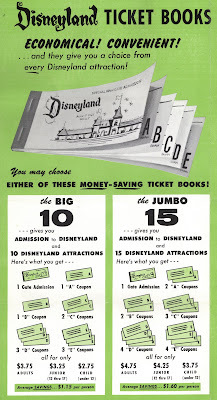 I can’t find a June 1960 “B” ticket, if anyone has one, please send me a scan. Is 1991 vintage? Since it's almost 20 years ago I say “sure”. 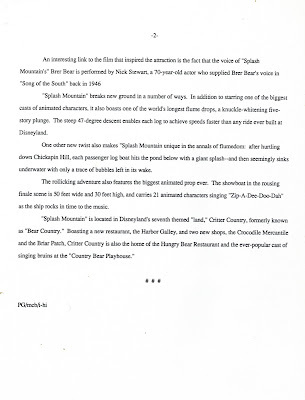 Here’s a fun filled Disneyland press packet from 1991 that is bursting at the seams with useless facts, figures and details, just the kind of dry reading I truly enjoy. The pretty cover has some nice stock photos, I love the couple on the Carrousel, they’re having so much fun they get four squares! 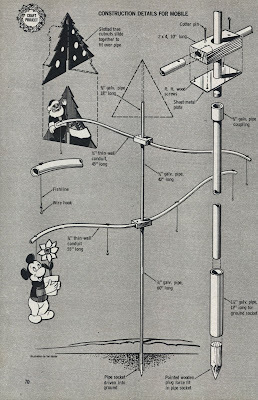 “The Best ways to see Disneyland”. 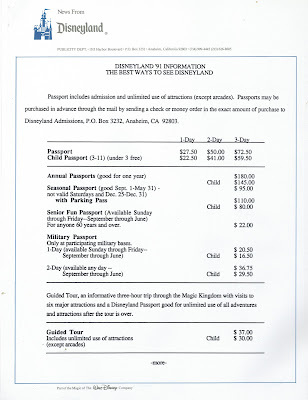 Annual Passports $180, I’ll take one those. 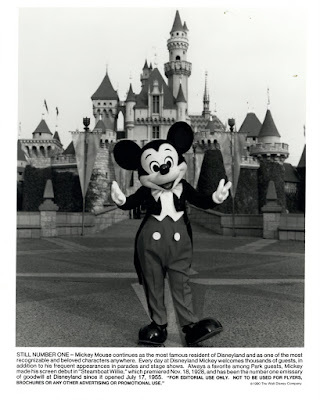 That’s right, Mickey is Still Number One! 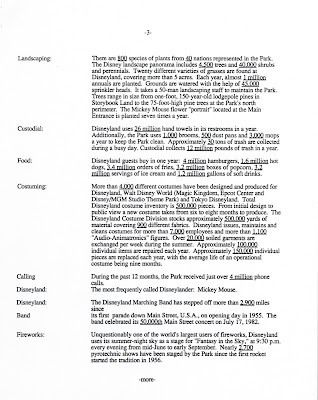 Now that Mickey has your attention, here are all the facts about his park. 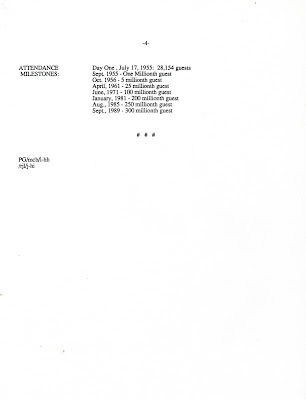 Notice on page four they refer to July 17, 1955 as “Day One”. Splash Mountain was the latest and greatest thing at Disneyland, how about a color photo from May 2009 (link). 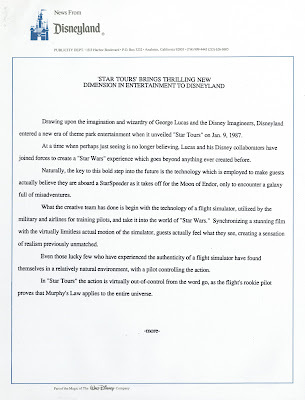 Star Tours was a fairly new kid on the block in 1991. 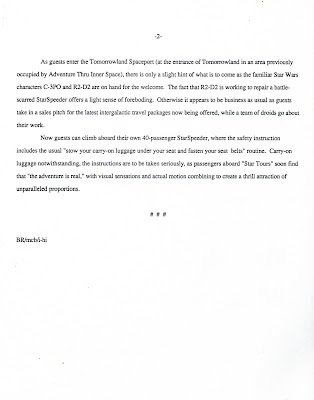 I can not wait for the Star Tours 2.0, it’s a little overdue but very welcomed. 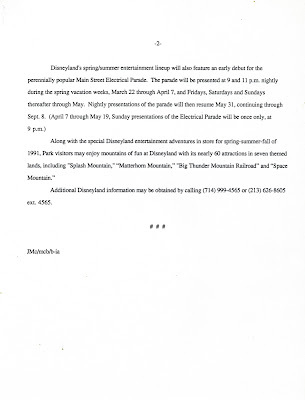 “Afternoon Live at Disneyland” – Yawn, this whole promotion did nothing for me except keep the Motor Boat Cruise alive for just a little while longer. 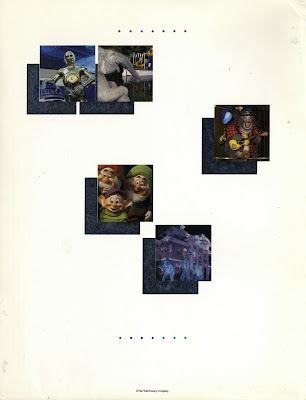 For some color, here’s the back cover. Welcome to Magazine Monday. 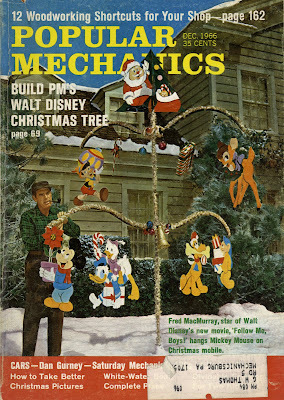 In yesterdays post of “The Disney World”, there was a reference to an upcoming December 1966 Popular Mechanics article with Fred MacMurray on the cover. 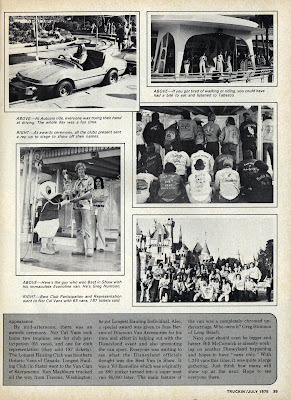 Since its Monday and it’s a magazine, here the article along with a few vintage advertisements. 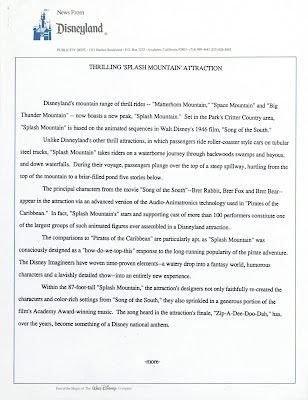 True this not a Disneyland article, but I couldn't resist the link to “The Disney World”. 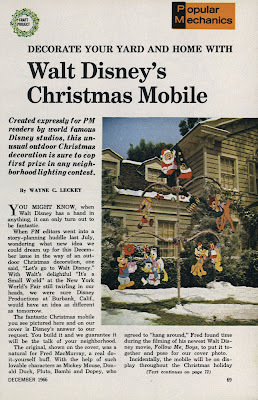 Walt Disney’s Christmas Mobile, which was “created expressly for Popular Mechanics readers by the world famous Disney Studios” looks simple enough to build. Still looks pretty easy, I could even handle this part. This part is a little more involved and might require some actual ability to draw or at least trace really well. Here’s your template for the colors, stay in the lines! Page 190 has the rest of the text. 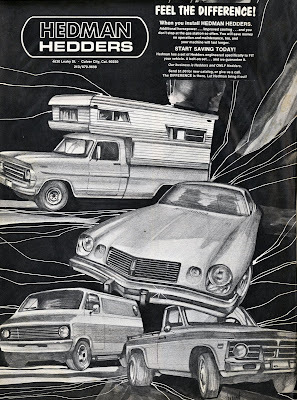 December 1966 has some slick advertisements. 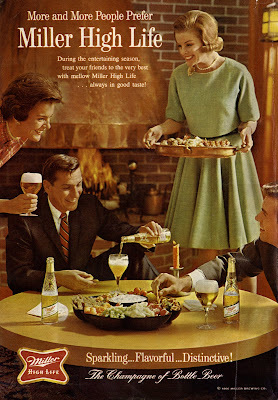 I always enjoy my Miller High Life in my suit and tie by candled light served by pearl wearing pretty ladies. 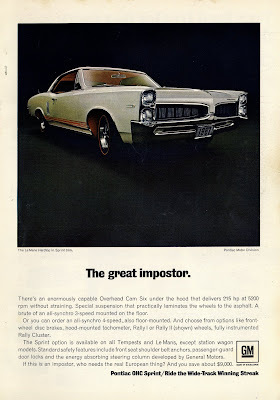 The great impostor. The Lemans came in many flavors; basic sedan, GTO, “Sport”, “Luxury” but the rarest of them all is the “Sprint”. It had an overhead cam straight six that revved high and was small V-8 fast. 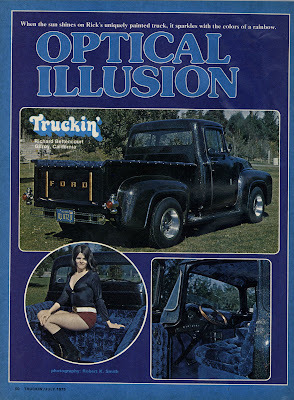 I recall passing up one of these in the early ‘80’s for $350 because it didn’t have a V-8! 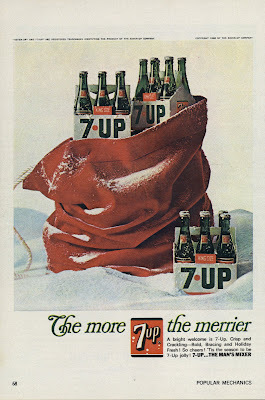 7-UP is ready the Holiday’s. 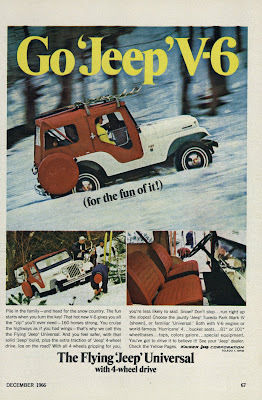 The Jeep is ready for winter too, “for the fun of it”.